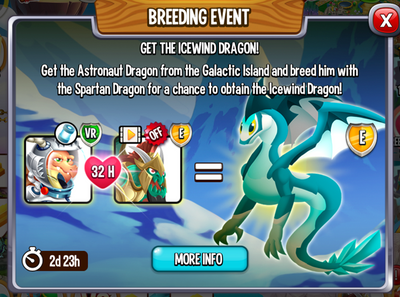 Icewind breeding event May 1rst to May 4th. 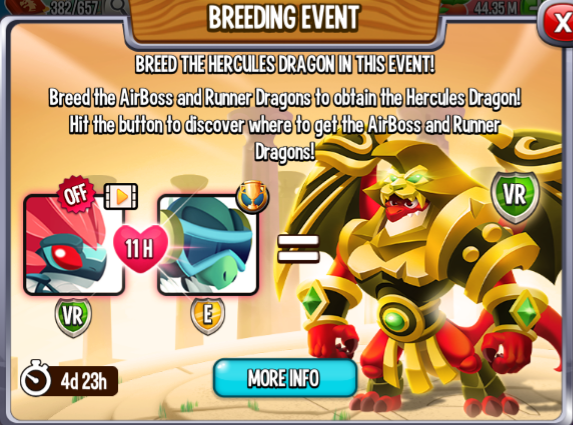 Airboss x Runner Dragon = Hercules Dragon. 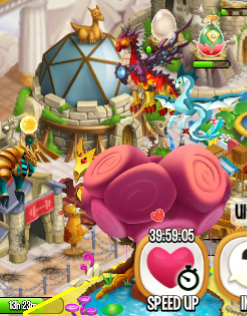 I have both Airboss and Runner but I will be skipping trying for Hercules since I have him too. 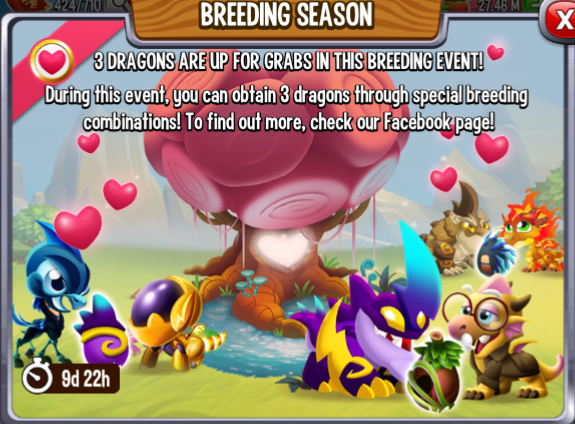 I usually try the breeding events even when I have the target dragon just to see how easy it is but since there is so much going on I will skip this one. Same, I already have two with no room for either of them. Has anyone bred Hercules yet? Anyone trying? 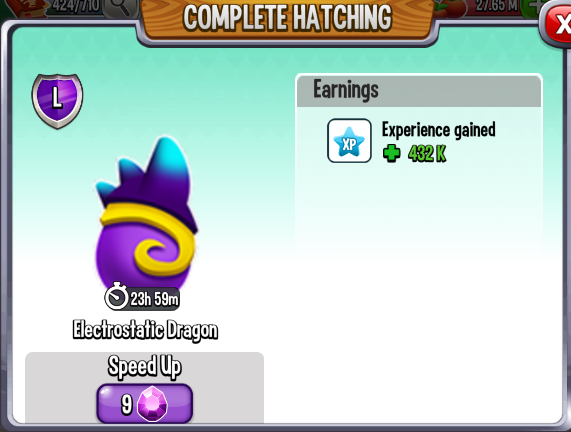 I tried a couple of times this morning with my wizards but I just got two pure hybrids. @Nynaevelan I do not have runner yet. Probably just going to focus on the tourneys though because I already have Hercules. I'll attempt if I get a second AirBoss. Right after you complete the minimum Lap10 in the Heroic Race/finish in 1st place after completing Lap 4, as breeding Heroics is not possible right now. Make your attempts for Flora. Will you use your joker while waiting to get Blade?? EDIT: Wow my luck has changed, got it in 2 tries. @BrenDC Flora is a cat 9. 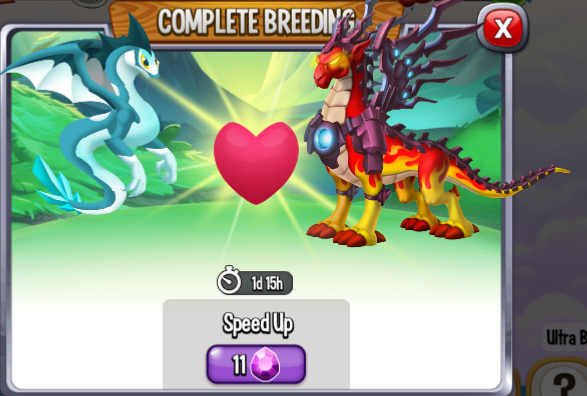 7 attempts with Viktor & Sand, 4 attempts with Blade & Sand, and 77 gems finally gave me a 19h 12m breeding time in my tree! 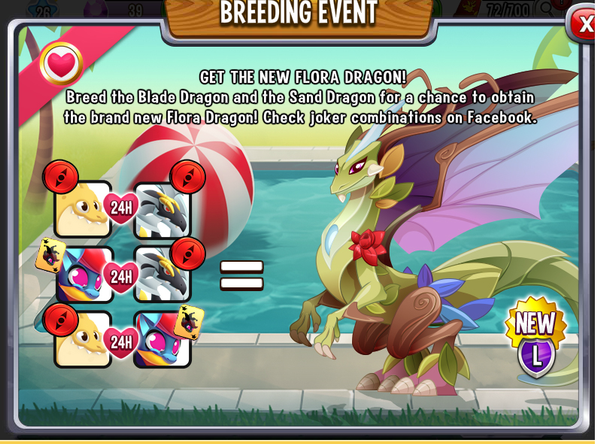 Since no regular dragons have a 24 hour breed time I think I have a Flora. You do realize the joker is Viktoria not Viktor right?? Hopefully none of the wasted gems was with the Viktor combo. Oops! 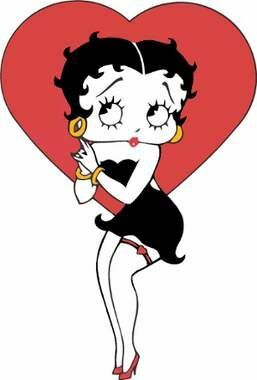 I made the mistake of assuming that since Viktor and Viktoria are both jokers they are interchangeable. 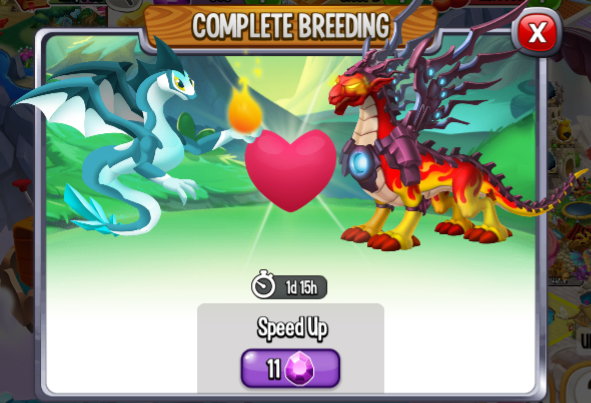 So unfortunately I spent some gems on an impossible breeding combination. Thanks for pointing out my error so I can learn and not make that mistake again. Got Flora on the second try using Sand & Blade - both level 15. I think I used about 24 gems speeding hatching of Blade, first breeding attempt, & breeding of Flora just to make sure that's what I had. Yeah I almost made that mistake too, until I noticed her bow in the pic. They really should have made them a little different, it is quite hard to tell which one is the current joker to use. I think I got lucky with this one and got it on my 6th try without a gem spent, but I need to wait until tomorrow with my wizards to confirm. 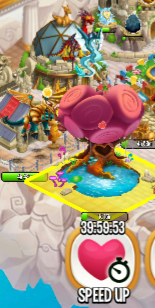 I hope there is nothing else with a 40 hour breed time (upgraded tree). 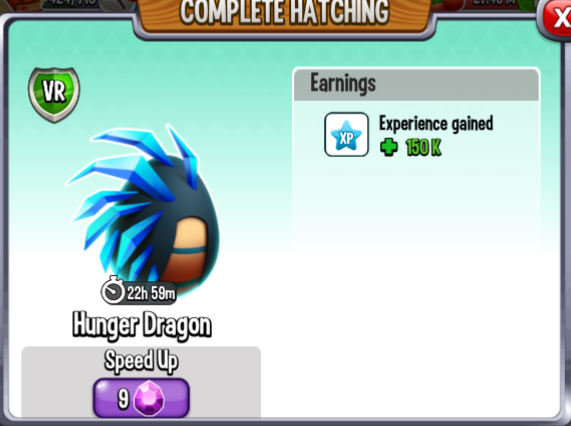 I also have a 40 hour breed time incubating in an upgraded tree. Got it on about 8th try & about 15 gems. 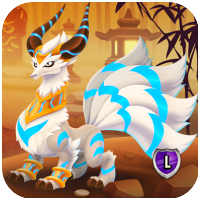 @Dragonista What level did you breed the dragons at? @B2theZ Pyrex level 15 & Icewind level 14. @Nynaevelan on my sixth try, haven't had to speed through yet, most were Storm dragons. Probably my hardest yet, just about gave up on it. Now with my second, I'm reminded of why I wanted to wait a few days before trying. 7 tries with Cerbery and etc., but still no Pyrex. Only 4 hours left, so LOTS of gems needed and none to waste. What am I doing wrong? Nothing, the chances are low but it's possible. This was my hardest one yet and I did expend a lot of gems. @DragonFried If you are using Cerbery and Bonfire... there is nothing else you can do. It is a matter of luck. I am sorry for you. Thank you both so much for responding. Maybe it was only me, but that combination did not seem to like my using the sanctuary. I switched to the mountain, and got it almost immediately. Naturally I then used the mountain for the 2nd/3rd set, and am now only waiting for the Pure Gold egg to hatch. Is it safe to assume that this was because I was using low level breeders? @DragonFried I always let one at 7. 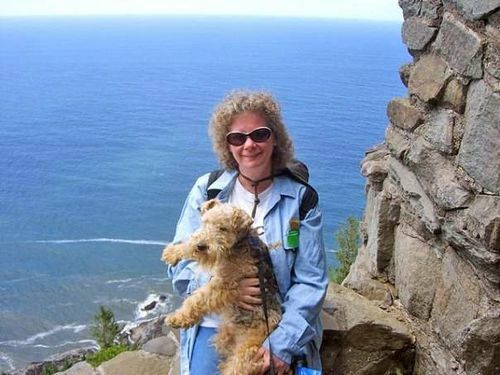 The higher levels can give more different results than the lower levels. Also I avoid sanctuary for breeding events because there more different results are possible. @Bettina-Löffler Thanks for that great advice! I searched all over, but couldn't find anything so helpful, either here or in the wiki. 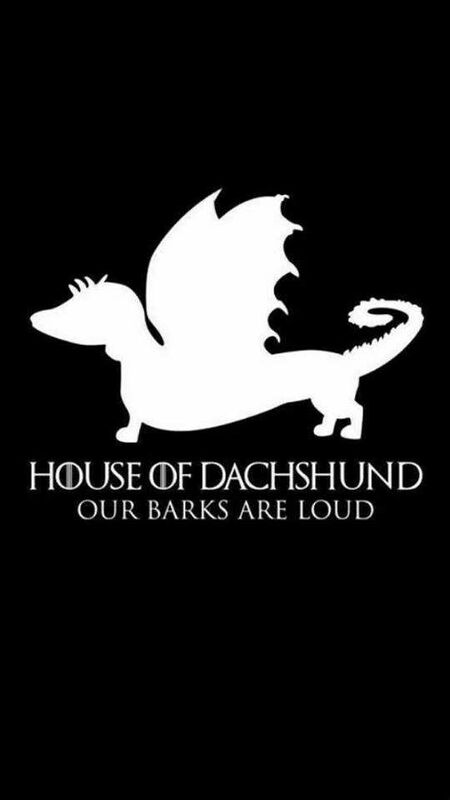 @DragonFried Yes. I mean leave. Sorry for my bad english. @Bettina-Löffler No, no, no. You're beautiful. And I meant it about how helpful you were. I was just hearing all that bar talk in my head. I just saw some posts in the fb groups that some people are still getting pure gold breeds, so keep trying if you didnt get it. Hopefully you can get one before they realize and turn it off. EDIT: I can confirm this is true, my two gaming accounts were able to breed Pure Gold after having failed all week it was "active". not sure why but in the breeding tree level 2 double flame and double terra gave me the hunger dragon from a 13 hour breed instead of 32 hours. @B2theZ Others confirmed that breeding time. 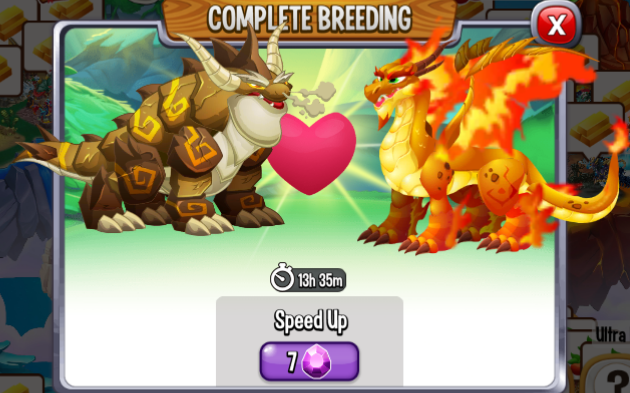 Breeding time is 17 hours. In upgraded breeding places 13 hours plus some minutes. EDIT: It was a glitch. 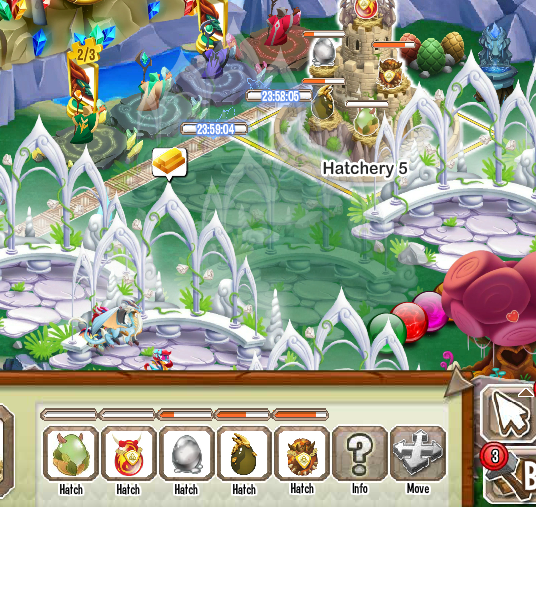 Breeding time is 32 hours now. @Armistice I can chill on this until Hunter, which hopefully by the time it comes I will have enough of a good spot that breeding for it will not interfere with my race. I got mine so I'm changing my double pairing to avoid duplicates(already have two) and since I already have two Victoria(s) I don't have any interest in more. 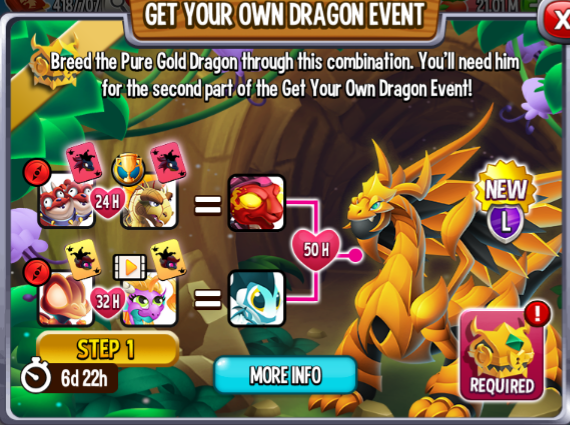 GRRRRRR I have the Double Flame but not the Double Terra so I tried using Double Flame level 15 and Viktor level 4 in the Breeding Tree. 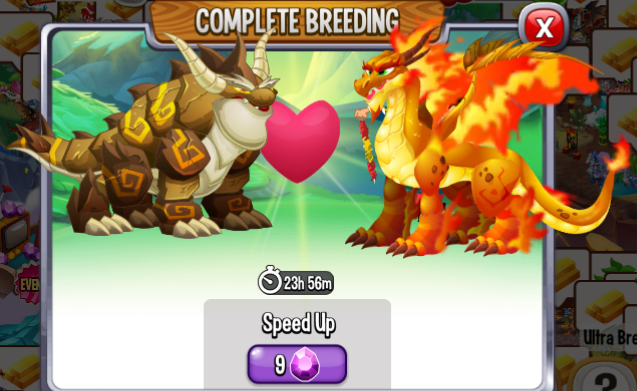 First time I got a 50+ breeding which I used gems to end got a Pure Flame with a 50+ hatch time. Both can sit in their places until done. I'm not wasting any more gems on them - need them for the Heroic Race. I've decided I HATE breeding events!! Especially when them come in the middle of a Heroic Race. Had another but it turned out to be Nirobi, which is not bad, just unwanted. 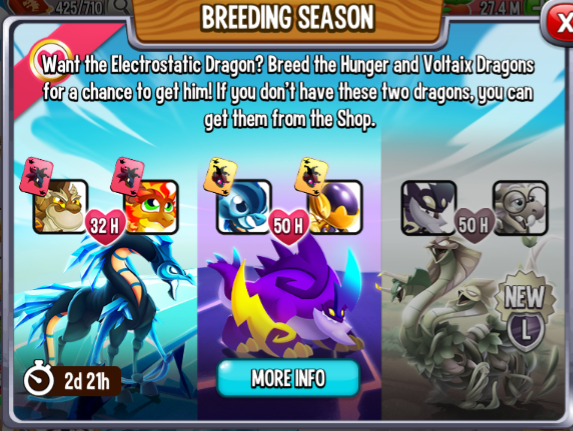 Ughhh, I am trying Hunger and Victoria to get the Electrostatic (don't have Voltaix), and just noticed...even if I get Electrostatic...I don't have Teacher so not looking good for me getting Hunter. Even if they put Teacher on sale, she will probably be beyond my reach. Most of the "sale" dragons...the good ones at least, are out of range for my budget. 225 gems would lead to me flipping tables, real housewives style. @Armistice Hunter officially goes live tomorrow, I have been trying all week, others have been successful...me not so much. I hope I get him. Does anyone know how long it will be on? Oh wait let me go check the Messages post. I'm awaiting Teacher's price/options to obtain it. Don't feel like spending anymore gems.